working to reduce the harmful effects of alcohol. The aim is to raise awareness around the dangers of intoxication while operating a boat, when pregnant or together with children. Docking is an art form best practiced sober. and the total number of accidents increased from 4,064 to 4,158, a 2.3 percent increase. The National Safe Boating Council created a new public service announcement campaign, “Silly Humans,” featuring Shaw Grigsby, Bassmaster Elite Series Angler and host of “One More Cast” on The Sportsman Channel. This light-hearted campaign follows two fish who think they are smarter than some humans, but they are no match for an accomplished angler who boats responsibly and wears a life jacket. “If you’re not a fish, you’ve got to wear your life jacket,” reminds Grigsby. The fatality rate of 5.3 deaths per 100,000 registered recreational vessels reflected a 1.9 percent increase from the previous year's rate of 5.2 deaths per 100,000 registered recreational vessels. Where the cause of death was known, 76 percent of fatal boating accident victims drowned; of those drowning victims, 85 percent were not wearing a life jacket. Where boating instruction was known, 71 percent of deaths occurred on vessels where the operator had not received boating safety instruction. The vessel types with the highest number of fatalities were on open motorboats, kayaks and canoes. The Coast Guard also encourages the use of the safe boating application available on most smart phones. The phone application can help boaters request safe boating information, request safety checks, file a float plan, review navigation rules, report hazards or pollution and request emergency situation. Although the safe boating application is a great tool, it is still recommended to have a marine VHF-FM radio installed on your boat or carry a handheld version. Calling on VHF-FM radio is the most reliable way to call for help in case of an emergency. The agreement is the first time the seafood sector has voluntarily imposed limitations to industrial fishing in the Arctic. Fishermen and seafood suppliers struck a major deal on Wednesday that will protect a key Arctic region from industrial fishing for cod. Companies including McDonald’s, Tesco, Birds Eye, Europe’s largest frozen fish processor, Espersen, Russian group Karat, and Fiskebåt, which represents the entire Norwegian oceangoing fishing fleet, have said their suppliers will refrain from expanding their cod fisheries further into pristine Arctic waters. “From the 2016 season the catching sector will not expand their cod fishing activities with trawl gear into those areas where regular fishing has not taken place before,” the deal reads. The agreement follows an investigation by Greenpeace in March which revealed that suppliers of cod to major British seafood brands were taking advantage of melting Arctic ice to push further north with fleets of destructive giant bottom trawlers. Using satellite tracking data, it found that an increasing number of Russian and Norwegian trawlers had fished in the northern Barents Sea around Svalbard in the past three years, an area deemed by scientists to be ecologically significant. This vessel was photographed operating in Bellsund within the borders of the national park on the west coast of Spitsbergen. The region, which includes the Svalbard archipelago - the “Arctic Galapagos”, is home to vulnerable species including the polar bear, bowhead whale and Greenland shark. Experts consider bottom trawlers - often dubbed giant “bulldozers” - to be a highly destructive fishing method, which is already responsible for damaging up to half of Norway’s coldwater corals reefs. The area of the Barents Sea covered by the agreement is adjacent to major fishing grounds where at least 70% of all the Atlantic cod that ends up on dinner plates around the world comes from. The agreement, which spans the whole supply chain and covers an area twice the size of France, is the first time the seafood sector has voluntarily imposed limitations to industrial fishing in the Arctic. Any fishing companies operating in these pristine Arctic waters will not be able to sell their cod to the brands supporting this agreement. 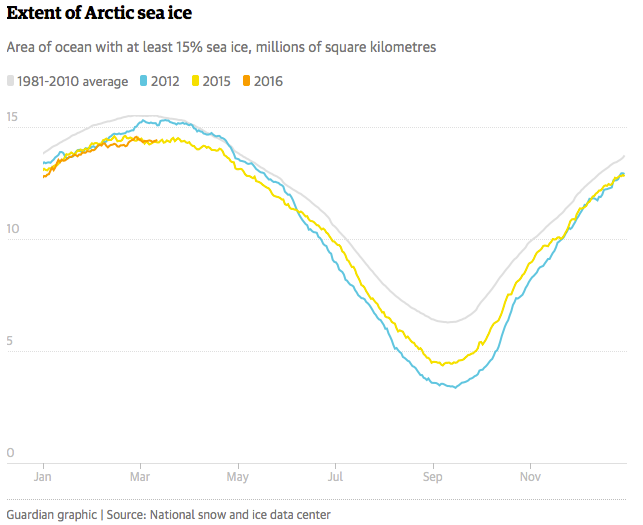 The deal comes after a record low for Arctic sea ice this winter. 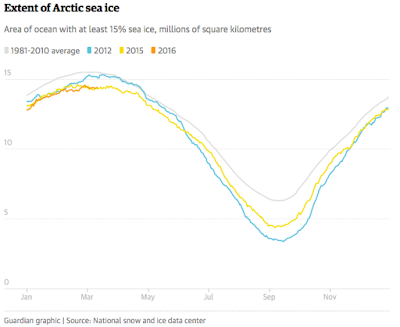 A huge expanse of the Arctic sea never froze over and remained open water as a season of freakishly high temperatures produced deep – and likely irreversible – changes on the far north. Currently there is no law in place to protect Arctic areas that were once covered by ice. Greenpeace welcomed the “temporary stop-gap” the agreement brought but warned that large areas of water left open for longer periods made an urgent case for legal protection by the Norwegian government. “The Norwegian government must now acknowledge the growing resistance to reckless exploitation of the fragile Arctic environment, not only from the millions of people around the world who want the Arctic protected but also from the corporate world. Now is the time to take concrete steps towards legal protection of Svalbard and the northern Barents Sea so that Norway can meet its international obligation for marine protection,” Montalto said. I for one welcome our cephalopod overlords. The number of cephalopods — squid, octopus and other squishy sea aliens — has shot up over the past six decades, even as humanity's influence on the ocean (read: climate change, pollution and overfishing) has caused many marine populations to plummet, according to a study published Monday in Current Biology. In other words, the ocean is becoming a more difficult place to live — and all of that empty space means everything is coming up octopus. "Cephalopods are often called 'weeds of the sea' as they have a unique set of biological traits, including rapid growth, short lifespans and flexible development," study author Zoë Doubleday of the University of Adelaide said in a statement. "These allow them to adapt to changing environmental conditions (such as temperature) more quickly than many other marine species, which suggests that they may be benefiting from a changing ocean environment." The researchers analyzed the rate at which cephalopods have shown up in fishing catches or sampling efforts from 1953 to 2013. The study included 35 cephalopod species or genera representing six families. As a whole, they found that the group was thriving and becoming more prolific. Doubleday didn't set out trying to show that these populations were booming. In fact, she and her colleagues were troubled by the apparent decline of the giant Australian cuttlefish. Luckily, it looks as if things are on the up-and-up for that population as well. "To determine if similar patterns were occurring elsewhere, we compiled this global-scale database," she explained. "Surprisingly, analyses revealed that cephalopods, as a whole, are in fact increasing; and since this study, cuttlefish numbers from this iconic population near Whyalla are luckily bouncing back." But while that's great news for the giant Australian cuttlefish, scientists aren't so sure how to feel about an ocean where squid, cuttlefish and other octopods are all on the rise. “I guess if you're a squid or octopus fisherman, these increases may seem like a great thing,” Benjamin Halpern from the University of California, who wasn't involved in the study, told the Atlantic magazine. The point is that we don't really know how an influx of these voracious predators will change the ocean — and that's a little scary. So should we prepare for a future with a lot more tentacles? Cephalopods may be super versatile, but their population booms are expected to rise and fall in a pretty self-regulating fashion — as was the case with the giant Australian cuttlefish. In fact, the researchers don't think cephalopods are necessarily safe from the same overfishing that's helped them prosper. It "will be critical to manage cephalopod stocks appropriately so they do not face the same fate as many of their longer-lived counterparts," they write in the study. How much plastic is floating in our oceans ? 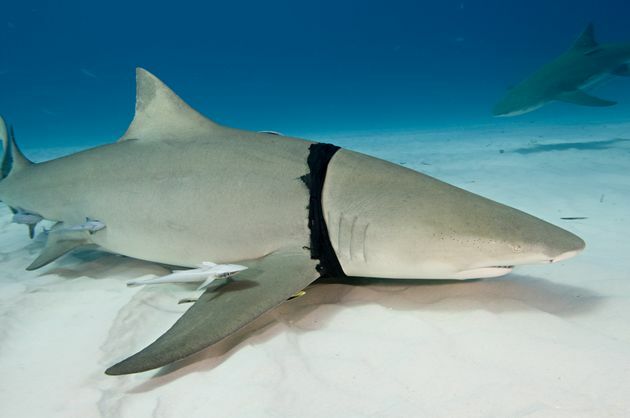 “A lot of plastics labelled biodegradable, like shopping bags, will only break down in temperatures of [122 degrees Fahrenheit] and that is not the ocean,” McGlade told the publication. 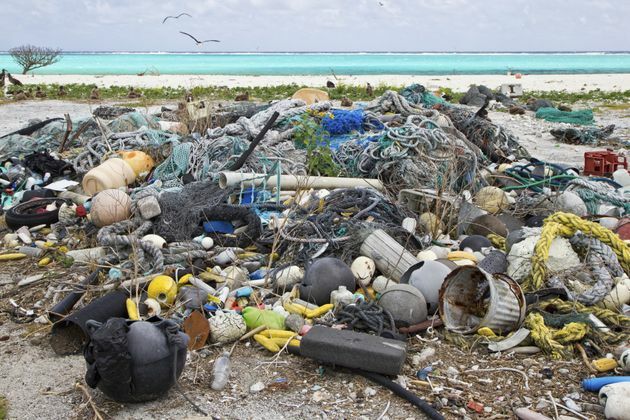 Plastic garbage is pictured on Eastern Island, in the Northwest Hawaiian Islands. In other words, don’t pat yourself on the back the next time you reach for those biodegradable plastic bags. We need to do a lot more than that. Cavitation is the formation of vapour cavities in a liquid – i.e. small liquid-free zones ("bubbles" or "voids") – that are the consequence of forces acting upon the liquid. t usually occurs when a liquid is subjected to rapid changes of pressure that cause the formation of cavities where the pressure is relatively low. When subjected to higher pressure, the voids implode and can generate an intense shock wave.